« happy birthday julia child! this is a photo of the one from canter’s deli, but i have had them at langer’s delicatessen, jerry’s famous deli, katz’s delicatessen, and many other random deli’s from coast to coast. the one that sticks in my head as my favorite, though i haven’t been back in years, is art’s delicatessen in studio city. 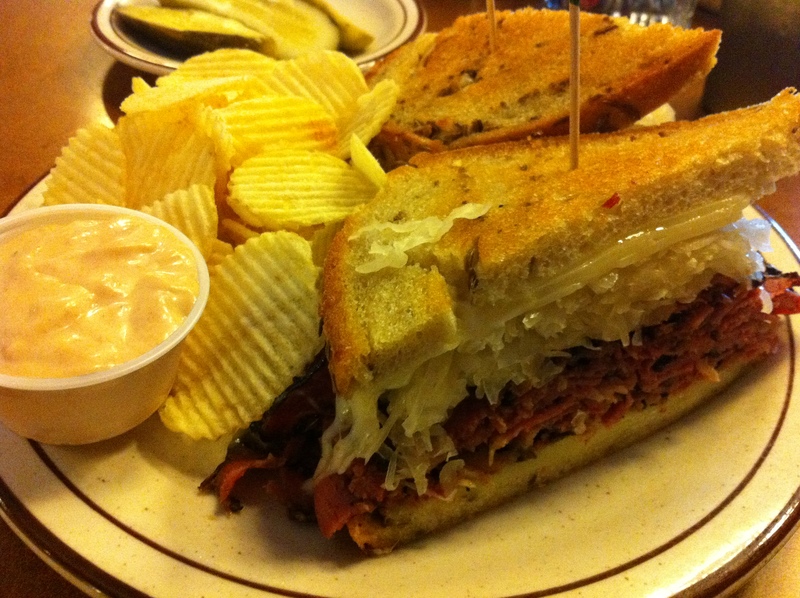 there’s just something about pastrami and sauerkraut together…mmm. you may be surprised at this simple sandwich making the list, but i have loved them ever since i was a kid. my mom used to make them for me with kraft singles and onions on white bread, and i would dip them in dijon mustard. grilled cheese and tomato soup was one of my favorite lunches growing up. a couple of years ago my friend krista had me over for dinner one evening for the best grilled cheese and homemade tomato soup meals of my life. 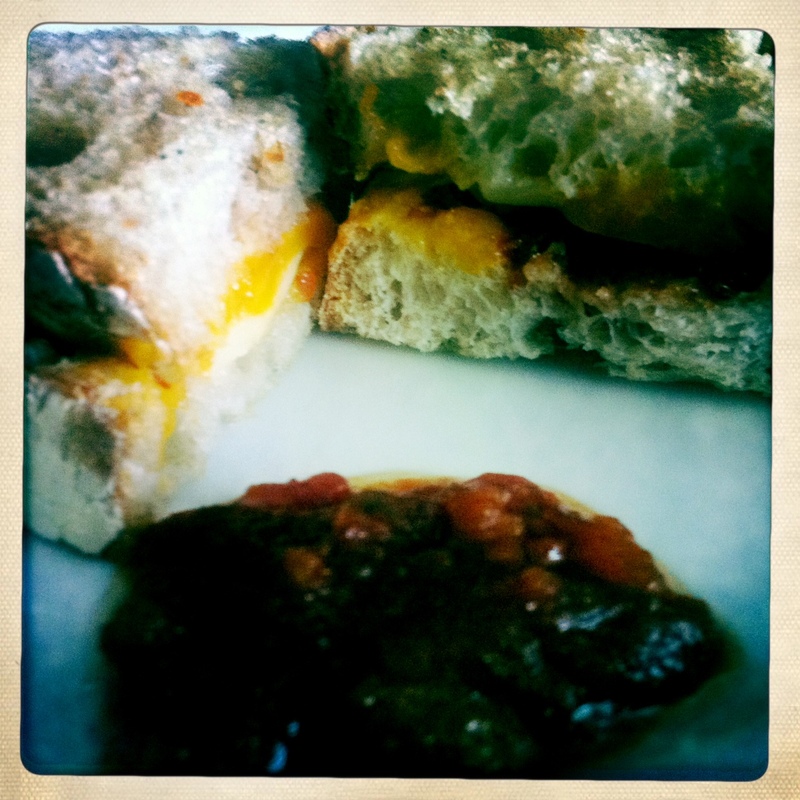 i also posted recently of my favorite grilled cheese that my sister kate made me, with our dad’s tomato jam. even though this is sometimes served open faced, i still consider it a sandwich. i have had a few of them in the past, and my favorite was probably at my friends jon and jenny’s place for dinner one night, but my love of this sandwich has only recently come about because of the one at mignon, a new wine + cheese bar that has opened very close to where i live. 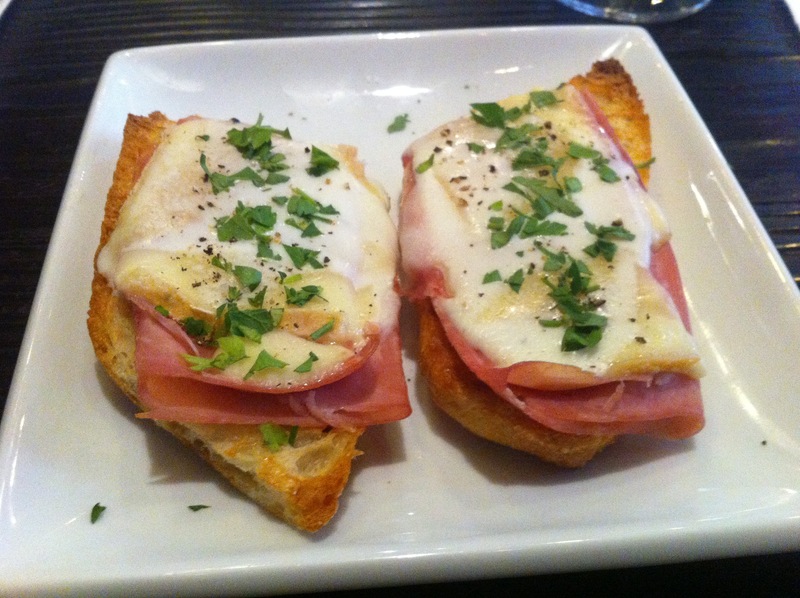 being that mignon is easily accessible to me, and their croque monsieur is only $5 during happy hour, makes me a very happy girl. 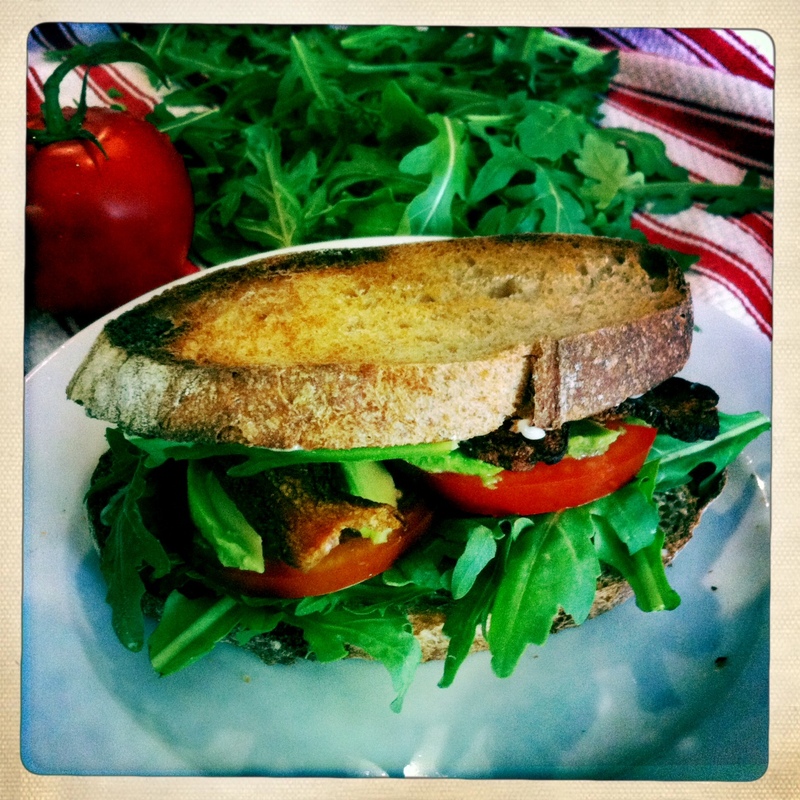 this sandwich can be easily screwed up, but also, if made well, one of the most satisfying of sandwiches. i stopped eating catering around season two of the tv show i worked on for seven years, and would mostly eat sandwiches off the craft services truck for lunch. thankfully they would have canned tuna and all the fixins to make my own. somedays i would just mix in some mayonnaise, pepper, and fresh lemon juice. other days it would be red onion, peperonchini, spicy mustard, sweet relish, mayonnaise, and pepper. at home (as shown above) i like to put in marinated artichokes, garlic, red onion, and herbs with greens, avocado and sweet cherry tomatoes on top. the unfortunate part about the blt is that good tomatoes are a must, and finding them in any other season besides summer is almost impossible, but thankfully right now it is prime tomato time. i crave them. i had one today for lunch as a matter of fact, and it was the inspiration for this post. damn they are good! 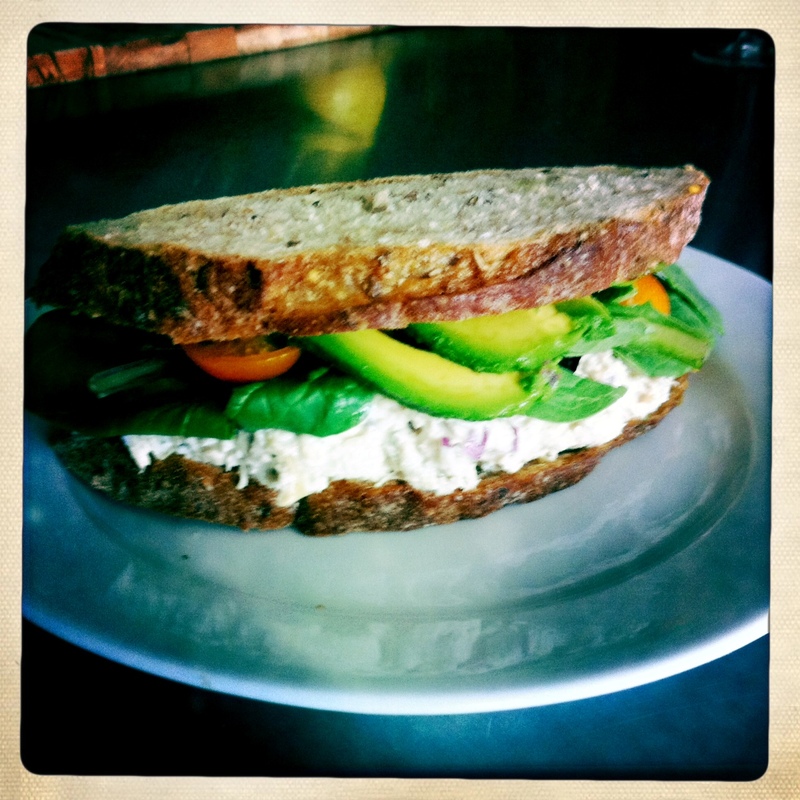 i couldn’t list fish sandwich (not to be confused with tuna fish, which i think is a different category) in my top 5 because i have had so few that are actually good. i have tried many attempts at recreating the one at big fish, but to no avail. short of flying back there to do some research, or calling the restaurant for their recipe, i am left with searching for a local substitution. suggestions are welcome. 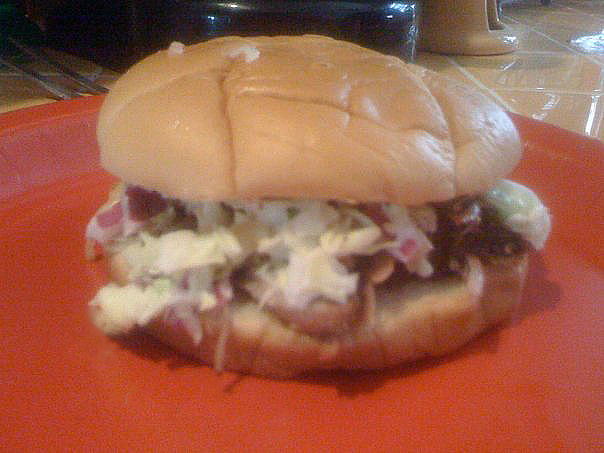 i really enjoy a pulled pork sandwich, and would probably list it at #6, but my friend john’s version is especially exceptional. his pork shoulder is dry rubbed with special spices overnight, slow cooked in butter and apple juice, and then finished off by smoking it on the grill. the juicy, tender and full of flavor meat is put in a steamed white bun and topped off with dreamland bbq sauce and slaw…com’ on! Andy makes grilled cheese with a crusty bread and gruyere with dijon–he slapped it on the gas grill and weighed the sammiches down so everything melded together into bready/cheesy/mustardy goodness. There was a short-lived restaurant in Beverly Hills that made a lovely tuna melt thusly: tuna mixed with chickpeas, shaved red onion, capers, on sourdough bread with aioli and slivers of parmesan on top.